COLUMBIA, Mo. – The recent death of Venezuelan president Hugo Chavez shook global politics and left the world wondering about the future of the far left. The death of Chavez could allow the United States and Venezuela to improve their relationship, according to University of Missouri political scientist Moises Arce. 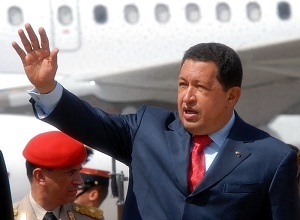 Chavez’s death may also lead to major changes in Venezuela and could shake the international oil market. The loss of the outspoken Chavez could have serious consequences for his international allies and political cohorts, especially in the member nations of the Bolivarian Alliance for the Peoples of Our America (ALBA). Arce noted that Chavez’s death may have an effect on global oil prices in the short term as markets react to the changing political structure of Venezuela, one of the world’s top oil producers. It is hard to know whether prices will go up or down. That will depend on the political situation that develops in Venezuela as a new leader fills the void left by Chavez. Arce is an associate professor of political science in MU’s College of Arts and Science. He is the author of Market Reform in Society (Penn State 2005), and numerous articles in journals, such as Comparative Political Studies, Comparative Politics, European Political Science Review, International Organization, Journal of Politics, Journal of Politics in Latin America, Latin American Politics and Society, Latin American Research Review, Party Politics, Political Research Quarterly, Social Science Quarterly, Studies in Comparative International Development, and World Politics.